The fact that 'Artifact' is now stocked at 'Anthropologie' is SO PERFECT TO ME AS AN ANTHROPOLOGY GRADUATE. IT'S JUST SO FITTING—"artifacts" as something Anthropologists study....GEDDIT?? GEDDIT????? 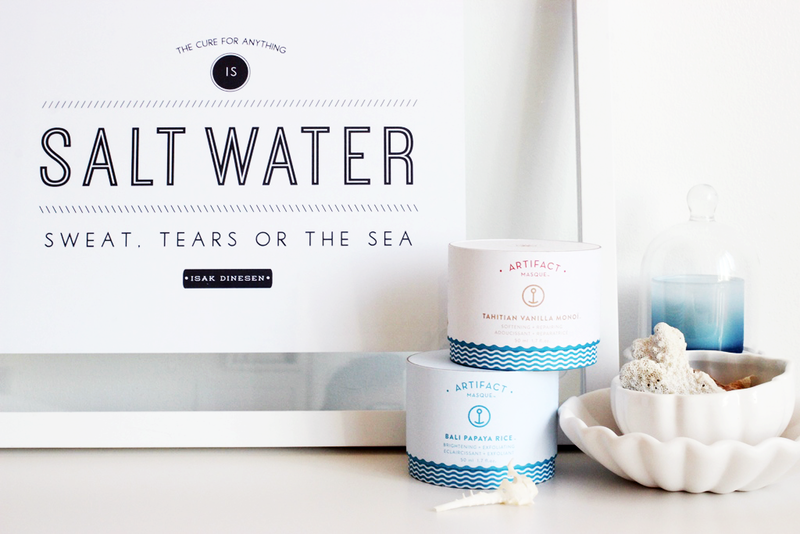 Artifact Skincare Co. is a Canadian (more specifically, Oakville) based indie brand that uses natural ingredients in their skincare products, and I was first introduced to them when I attended the One-Of-A-Kind show back in March. Jen, Jenn, and I managed to chat with the couple behind the brand, Narae and Elie, about the products—favourite masks, how the company came about, and plans for future products. 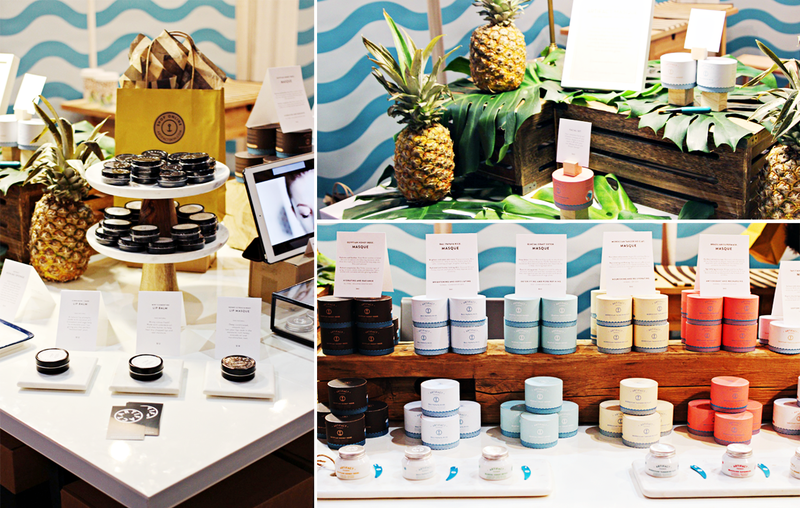 Their products are vegan, natural, paraben and cruelty free, and their specialty is masks—they currently have six types that revolve around local skincare traditions (e.g. their Tahitian Vanilla Monoi mask is inspired by the Polynesians and their use of monoi). Also, guys—I've sniffed all the masks and I can personally attest that they ALL SMELL DIVINE. Made with ingredients such as mango butter, coconut milk, gardenia, noni fruit, and kaolin, THIS MASK SMELLS SO GARDENIA-Y AND COCONUTTY IT'S WONDERFUL. Consistency is thick and creamy with fine grit (not very gritty though); the mask dries hard on the face and you can see it in action here. It's targeted for normal and dry skin types, and aimed at softening and repairing the skin. It does do more than soothe and make my face softer than 3-ply toilet paper though (??? 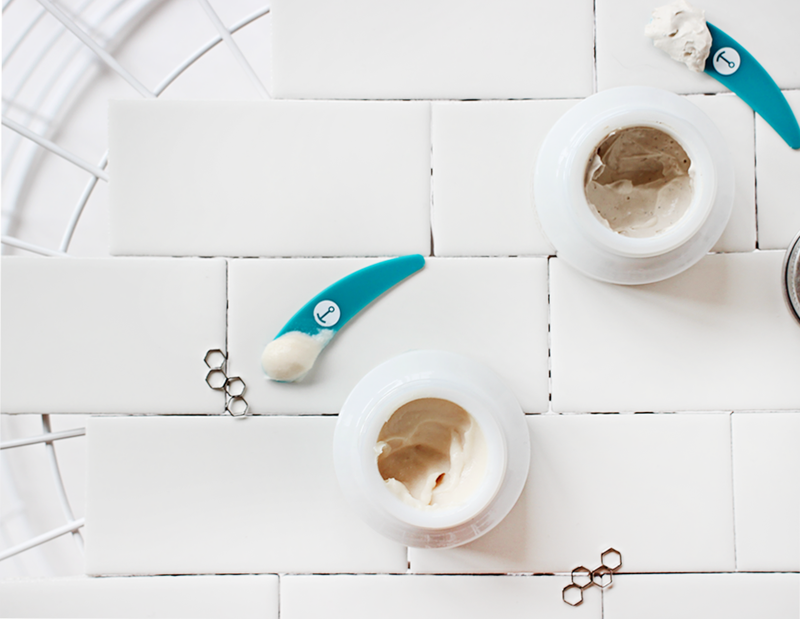 ), as the kaolin clay in there also cleanses while the fine grit gently exfoliates when you wash the mask off. Literally heaven in a pot. A brightening and exfoliating mask for normal and combination skin types, this mask is formulated with ingredients such as papaya extracts, vitamin c, rice grains, coconut oil, and honey. The papaya enzymes and vitamin c are meant to chemically exfoliate the skin, while the fine rice grains physically exfoliate. I can't describe the smell, but it smells of citrus-y yogurt to me? It's a thin consistency similar to a fine sugar scrub, and I'll admit that I don't reach for this one as often as the monoi mask because well, the monoi mask smells better. There, I said it. I USE PRODUCTS BASED ON HOW GOOD THEY SMELL, OK? Anyways, this mask does tingle and burn slightly upon application (that, or my skin is just really screwed up HELLO OPEN WOUNDS), which I'm assuming is the enzymes and vitamin c doing their work. I don't particularly notice any 'brightening' effects (but then again, hello screwed up skin! ), but my skin is much softer after use. 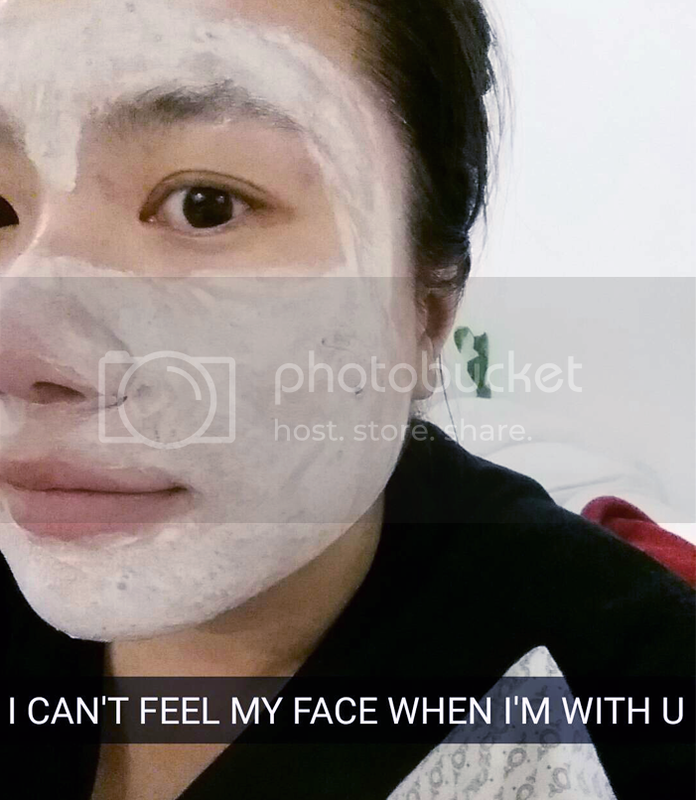 Though it is a wonderful mask, I think you can get similar results with other facial exfoliators. I literally want to try out each and every one of their masks—#MASKWARDROBEGOALS. 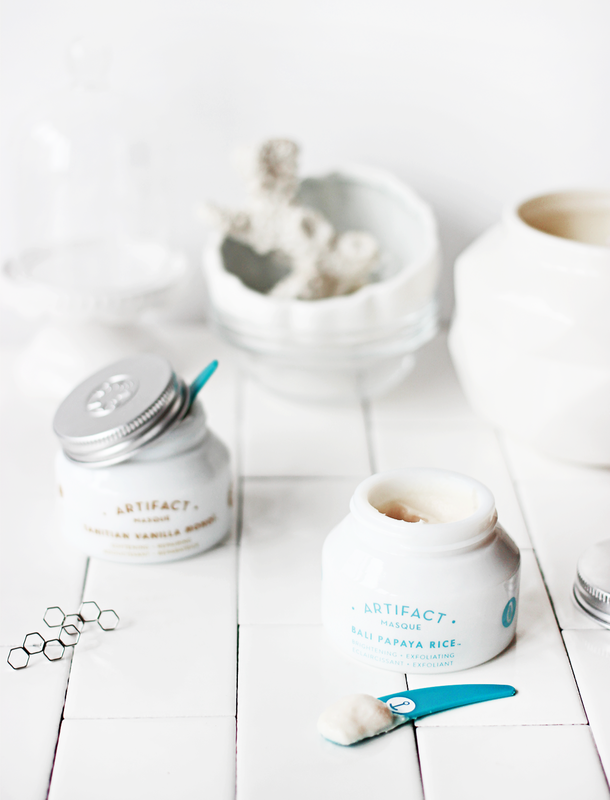 You can shop Artifact here (or I mean, JUST GO ON THEIR SITE AND LOOK AT HOW AESTHETICALLY PLEASING THEIR SITE AND PACKAGING IS, UGH) and they're also stocked in select stores in Canada, the US, and the UK! Before I sign off, UHM, WHICH OF YOU BUFFOONS NOMINATED ME FOR THE BLOGGERS BLOG AWARDS? BECAUSE NOW I'M SHORTLISTED IN THE 'INTERNATIONAL BEAUTY BLOG' CATEGORY AND I CAN'T EVEN? I WANT TO SMOTHER Y'ALLS WITH CRUSHED UNICORN HORNS AND SPARKLES AND PUPPY FARTS and I don't even know what I'm saying anymore BUT THANK YOU!! For those who have no idea what I'm talking about, check it out here, and please vote! Oh wow your right these masks are so pretty and look at how adorable their stand is! Dat price though. ..
Gonna go vote for you now!